The One Fund—specifically formed to help those most affected by the bombings. The New England Patriots Charitable Foundation—all donations denoted with the words “Boston Marathon” will be earmarked for The One Fund. 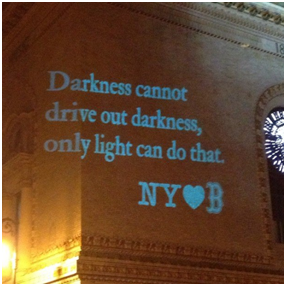 Boston’s First Responders Fund—also specifically established to benefit the victims of the bombings. A number of resources can also be found here. Much as it pains me to say this, beware of bogus Boston Marathon charity websites. Melanie Hicken of CNNMoney offers some advice on what to look out for. Entry filed under: General Analytics, Giving Back.